Has your company started their Afghan business licensing process yet? Contractor Advisory "Contracting in Afghanistan - BSA / SOFA Guidelines v. 3.0." Click here to view description and link. Office of Legal Advisor releases BSA/SOFA implementation FAQ. Click here to view. Contractor Advisory for Bilateral Security Agreement.﻿﻿ Click here to view. 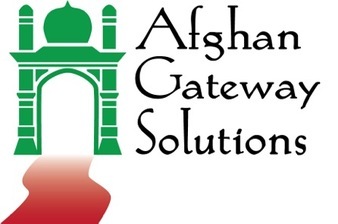 Afghan Gateway Solutions, Inc. is a mutual benefit, non-profit corporation, specialized in assisting foreign companies to do business in Afghanistan. We are vitally interested in helping make the next ten years in Afghanistan a period of economic revival. Helping bring new foreign investment and commerce into the country is key to achieving that goal. Whether you are sending a business development team to evaluate opportunities, or you are interested in committing to a longer term presence, the Afghan Gateway can support your company’s business operations by offering registration services before your departure and in-country support services from the moment you arrive at the airport. Importantly, we can provide your company with critical introductions to well regarded Afghan businesses that can support your operations or even become clients of your services. Our Executive Team and our Professional Associates have had extensive experience, both living and working in Afghanistan. We have brought these individuals together to form the Gateway to your business success. Afghan Gateway Solutions has experience in securing business licenses from both the Afghan Investment Support Agency (AISA) and other ministries requiring additional registrations. Our partners have built important relationships in mining, banking, construction and logistics over many years. With secure premises in Kabul that contain all the necessary business amenities, no one is better positioned to ensure that your company gains access to this emerging market.